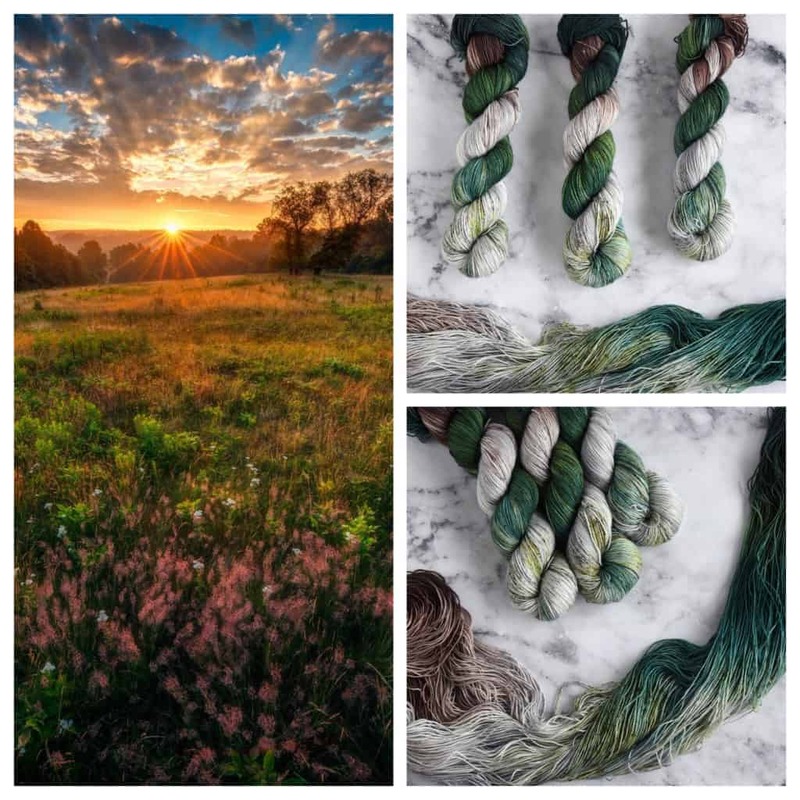 Jeanne of Destination Yarn, who appropriately creates colorways inspired by travel, chose the park closest to her Cleveland studio for the latest installment of Indie Untangled’s Knitting Our National Parks series. 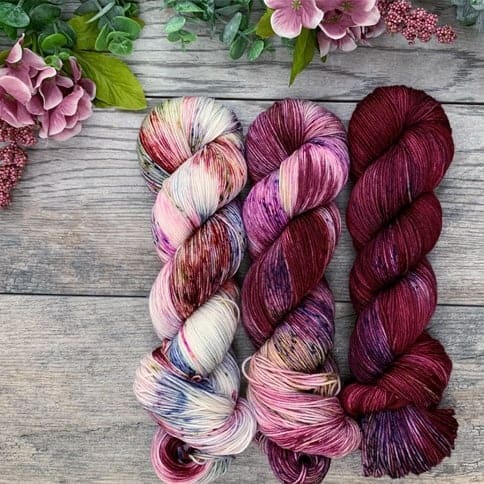 You can preorder the yarn on Indie Untangled through Friday, April 19; it will ship the last week of May. As always, 10% of sales will be donated to the National Park Foundation. For this edition of the Regency Collection, Julia of Pandia’s Jewels was inspired by Mr. Darcy’s admiration and love for Elizabeth Bennet. The collection contains three coordinating colors that you can order separately or together in a kit, only though 8 p.m. EDT this Sunday. 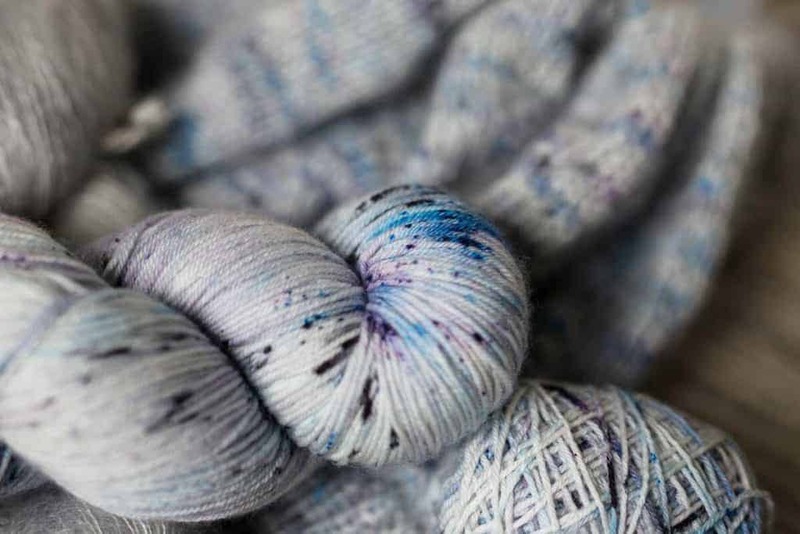 In time for spring, Aimee of Pancake and Lulu has been creating what she calls Speckle Semisolids — colorways that read like solids from afar, but are more speckled when viewed up close. She’s using these Monets with some more traditional speckles Caitlin Hunter’s Soldotna Crop. 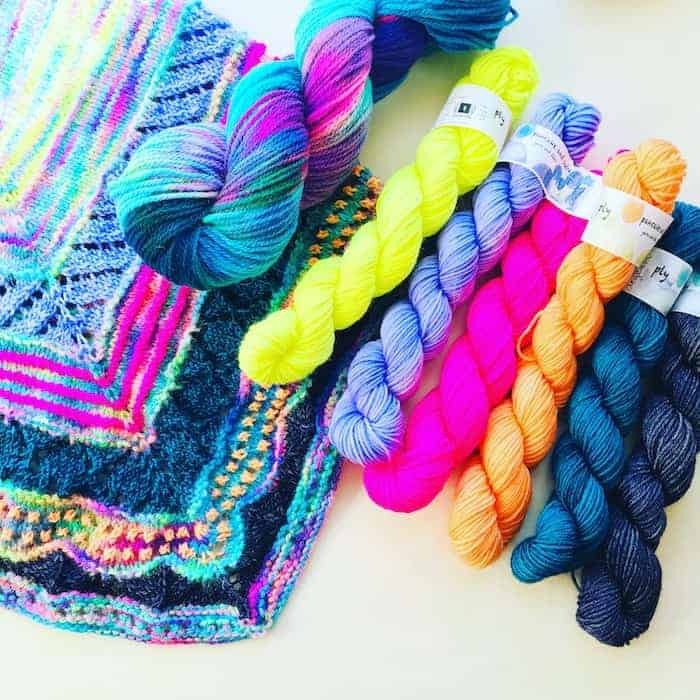 Sunshine of My Mama Knits has expanded her range of UV reactive solids that are ready to party at night. 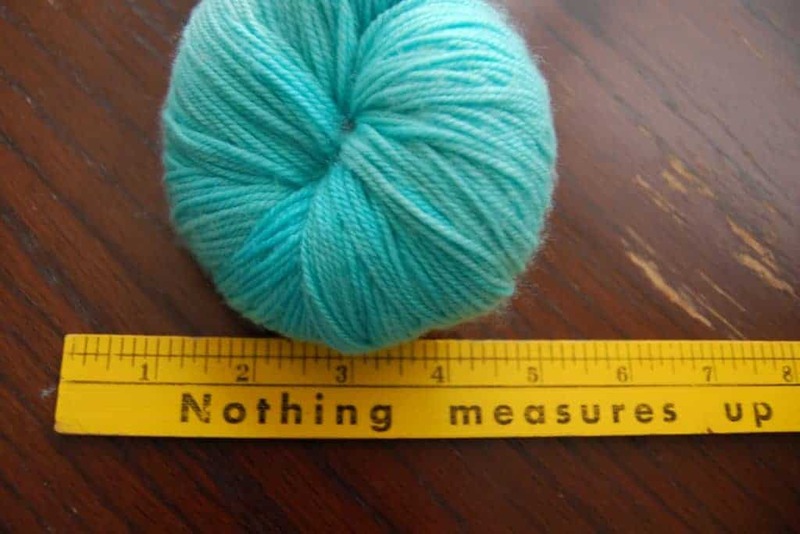 They’re available in 10- and 15-skein sets of 10g or 20g minis. 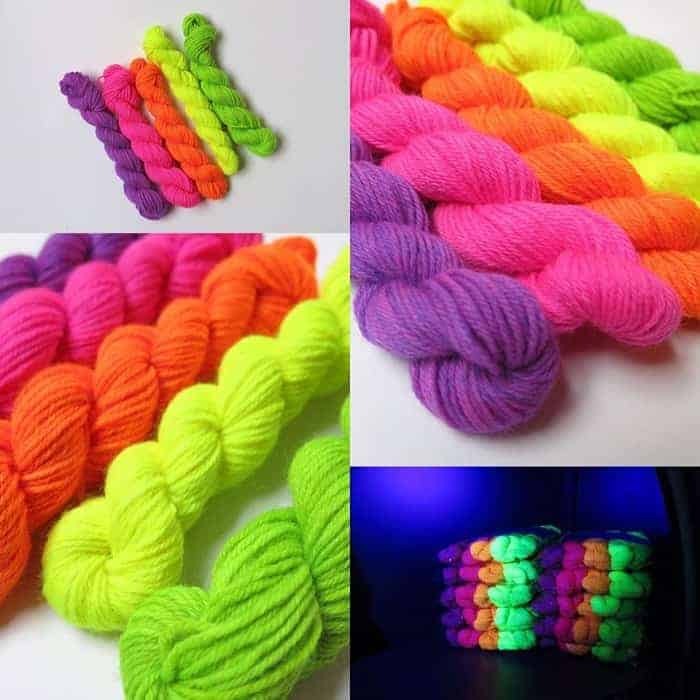 Full 100g skeins and single miniskeins are also available. 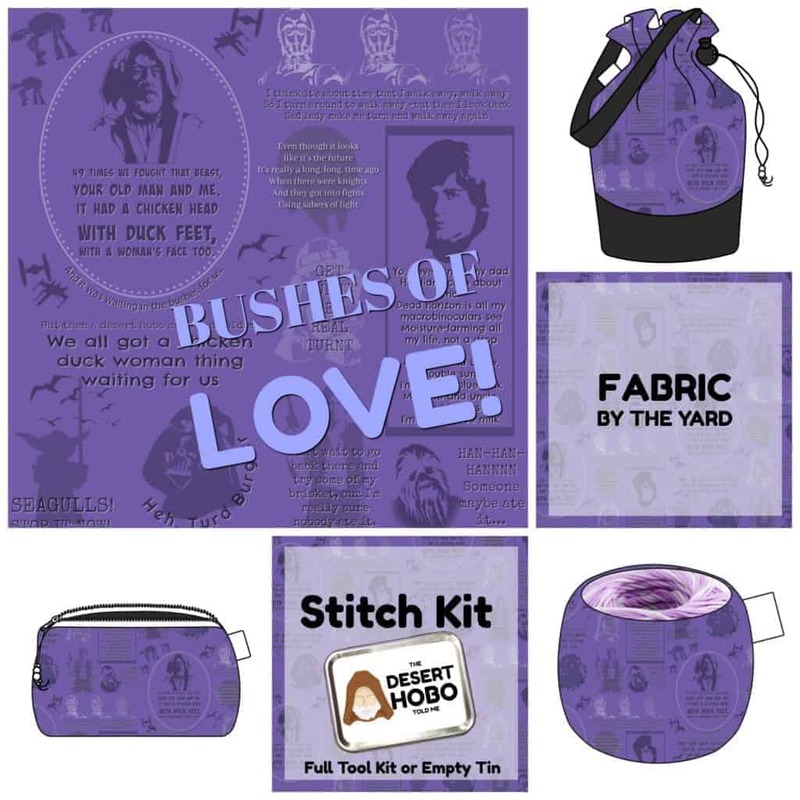 Three makers — Nichole of One Sock Wonder Bags, Liz of HighFiberArtz and Annah of Silent Knits — have joined forces to bring you a super geeky Game of Thrones-inspired kit. “Your Roll Is Coming” has a ton of great stuff, including an eight-sided die. 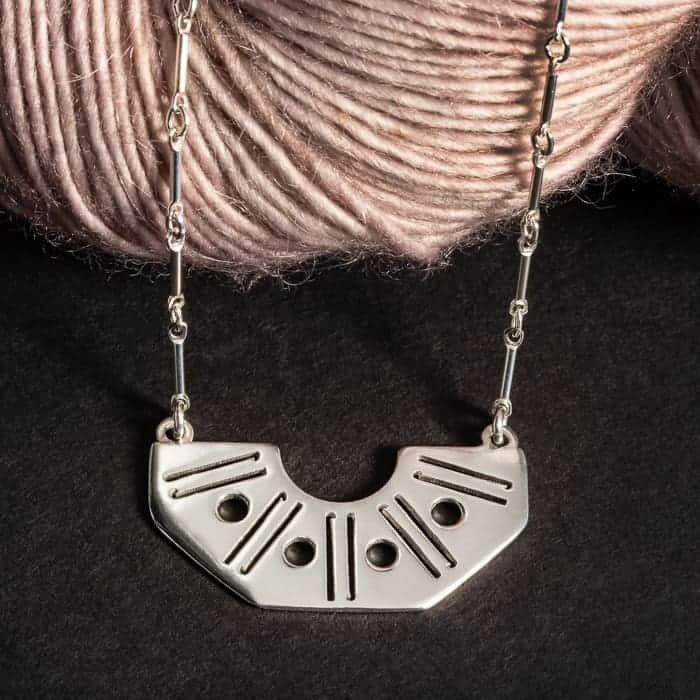 For all you hookers out there, Jen of Porterness Studio has debuted some awesome crochet-inspired jewelry, including a Crochet & Dissent RBG Collar necklace. Just in time for May the 4th, Slipped Stitch Studios has a Bad Lip Reading Tribute (see YouTube) to Star Wars. 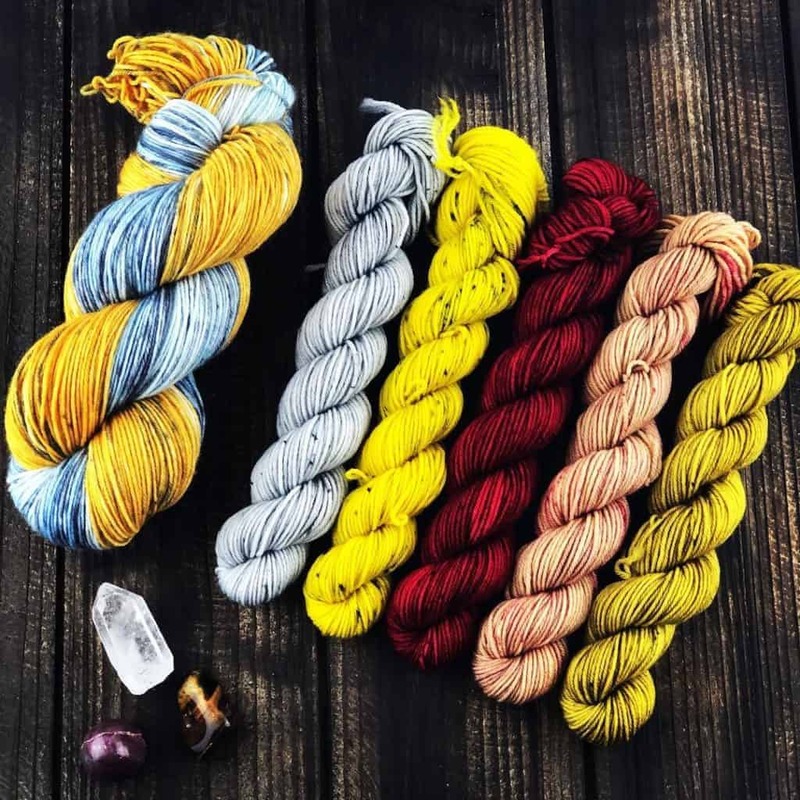 Shauna of Farm Girl Fibers has a ton of brand new colorways in her shop for spring, along with some new Harry Potter-inspired colors. The second installment of the Despondent Dyes Faux Holiday Club celebrates National Wine Day.